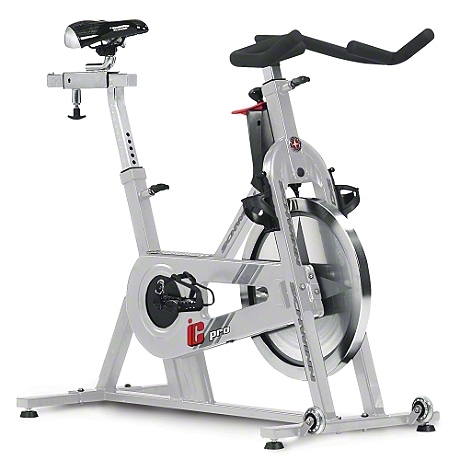 Designed to withstand countless hours of intense Exercycle program use, the Schwinn IC Pro cycling bike lets you experience the feeling of being on a road bike in your own home. It features an exclusive trapezoidal shape that creates a "wedge effect" for maximum stability and true cycling components. The high inertia drive system composed of a 38 pound flywheel and direct drive gearing. It offers easy-to-use handlebar and seat adjustments to help you quickly determine preferred comfort setting and corrosion-preventing stainless pins that can be quickly threaded tight for a secure hold on the sliding tube.